Book Authentic South African at the Luxe accommodation level and celebrate with a 50% companion discount for the second traveler. Book by March 31, for travel through to July 31, 2019. W elcome to the ‘fairest Cape in the World’ as your begin your Authentic South Africa adventure. Colonial monuments co-exist with delightful modernity in the glorious city of Cape Town. Basking in a Mediterranean climate for most of the year, veteran travelers insist this setting tops even the trendiest resort in the south of France; certainly, the wines are just as delicious! Relax and enjoy guided sightseeing: a tour of the delightful city, a glimpse into the colorful Malay Quarter and an excursion along the full length of the Cape Peninsula. Next up: wing to Makalali Private Game Reserve. Perfect for nature lovers and photographers, this reserve boasts all the ‘Big Five’ – lion, leopard, elephant, rhino and buffalo. in addition to cheetah, giraffe, zebra and kudu. Guests can join the two scheduled game drives each day for a chance to view these wild animals in their natural habitat. Tempted to see a bit more? Think about adding Victoria Falls, Botswana or even an exciting extension to neighboring Kenya to your Authentic South Africa itinerary. On arrival at Cape Town Airport you will be met by a Great Safaris Guide who will assist you to the vehicle for the private transfer to your elegant, five star hotel as you commence your Authentic South Africa adventure. 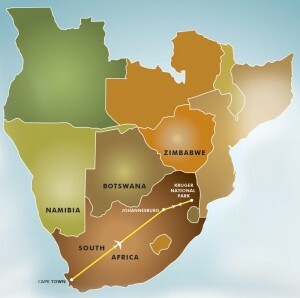 Wing to Johannesburg and then to Hoedspruit, gateway to the Greater Kruger Park. Arrive at your lodge in time for the afternoon gamedrive in an open 4 x 4 safari vehicle. Enjoy sundowners in the bush, as you witness the multi-hued African sunset. Considered one of the leading pioneers in Ecotourism in South Africa, Makalali Private Game Reserve represents a conservation mission to expand South Africa’s green frontier by re-establishing the ancient wildlife migration routes that linked the famous Kruger National Park in the east to the lush Drakensberg Mountains in the west. Enjoy morning and afternoon gamedrives during your time at Makalali. A final game drive and wing back to Johannesburg in time to connect with your outbound flight. Bid farewell to South Africa. 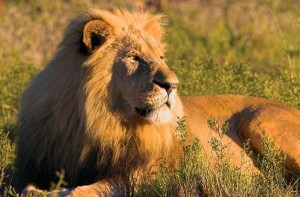 With fond memories – and photos – of your Authentic South Africa adventure to last a lifetime!